I’m really pleased to announce that this year’s CPCW Fellow in Poetics & Poetic Practice is Rachel Levitsky. She will teach a seminar called “Writing Practice of the Avant-Garde or: Avant-Garde Hybrid Writing,” and at the Kelly Writers House will host the visits of several writers associated with the course. 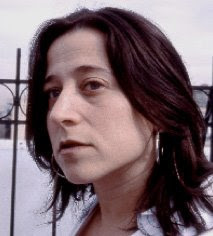 Rachel Levitsky’s first full-length volume, Under the Sun, was published by Futurepoem books in 2003. She is the author of five chapbooks of poetry, Dearly (a+bend), Dearly 356, Cartographies of Error (Leroy), The Adventures of Yaya and Grace (PotesPoets) and 2(1x1)Portraits (Baksun). Levitsky also writes poetry plays, three of which (one with Camille Roy) have been performed in New York and San Francisco. Levitsky’s work has been published in magazines such as Sentence, Fence, The Brooklyn Rail, Global City, The Hat, Skanky Possum, Lungfull!, and in the anthology 19 Lines: A Drawing Center Writing Anthology. She founded Belladonna — an event and publication series for avant-garde poetics — in August 1999. A past fellow of The McDowell Colony and Lower Manhattan Community Council, she teaches at Pratt Institute and lives steps away from The Brooklyn Botanical Gardens. Previous CPCW Fellows: Tracie Morris, Linh Dinh, Erica Hunt, and Kenneth Goldsmith.